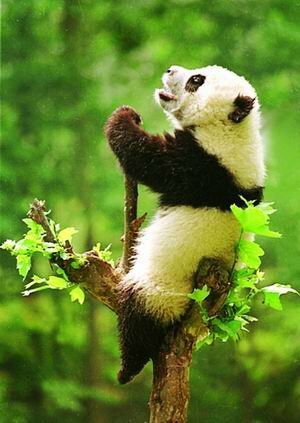 The Qinling Panda Ailuropoda melanoleuca qinlingensis is the only known subspecies of the Giant Panda. It was identified in 2004 and named by Qiu-Hong Wan, Liang Zhu, Hua Wu and Sheng-Guo Fang in 2005. There are a number of physical differences between the Qinling Panda and the Giant Panda. The Quinling Panda is overall smaller. Its head is smaller and more round, yet its teeth	are large. Its fur is light and dark brown as compared to the black and white of the Giant Panda. It is found in the Foping, Yang County, Ningshan, Taibai and Cheggu areas of the Qinling Mountains where it is protected with the help of the Changqing and Foping nature reserves. There are an estimated 200-300 Qinling Pandas in the wild.